The Yukon Lead Dawgs, who were playing in the World Broomball Championships, have returned home from Blaine, Minnesota. The Yukon Lead Dawgs, who were playing in the World Broomball Championships, have returned home from Blaine, Minnesota. The team wrapped up their tournament Friday, having played three games, taking home a bronze medal in the Challenge Cup division. The team finished with a record of 3-5, finishing sixth in the overall standings. 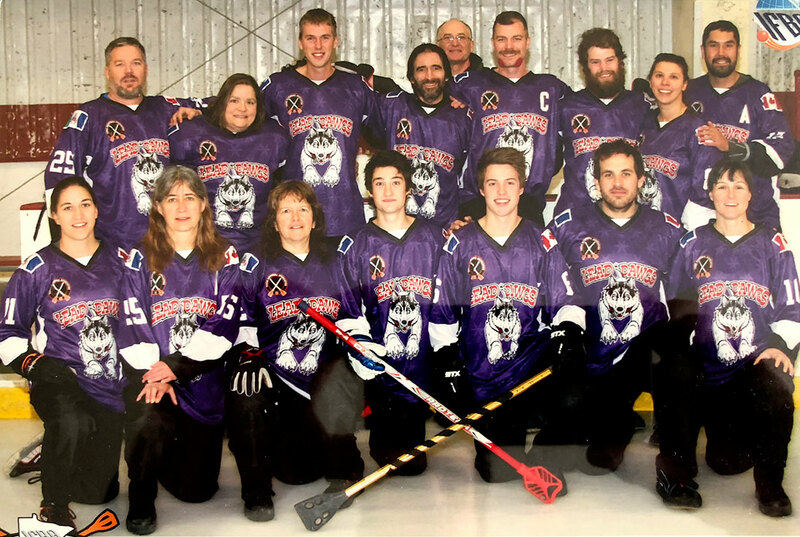 Ten teams participated in the mixed tournament, and were divided into two divisions based on their record through the round-robin, which is how the Lead Dawgs played for a bronze medal. The team started their playoff hunt against the Australia Green - Dingoes, in the quarter final. The Lead Dawgs were able to find their offence, cruising to a 6-0 win. Smith attributes some of the team’s improvement to the level of competition they played early in the tournament. In the Challenge Cup semi-final the Lead Dawgs squared off against the Regina Weezilz. The team played a hard-fought match, but came up short, falling by a final score of 2-1. With the loss the Lead Dawgs missed the opportunity to play for gold, but still had one game left against the Japan Ice Ducks, a rematch of their first win of the tournament, to see who took home the bronze. The bronze medal game rivalled the first meeting the team’s played, which the Lead Dawgs won 2-1. The Lead Dawgs managed to get one past the Japanese keeper taking the bronze by a final score of 1-0. As the team landed back in Whitehorse, there is already talks about what will happen for the next World Broomball Championship, which is held every two years. The Lead Dawgs, which Smith says have a lot of young players on the team, will now have some much needed experience under their belt that they can draw upon when looking to improve their respective skills. “We are still young and did really well for a team that hasn’t played a competitive tournament together,” said Smith. “Team play drives so much of what goes on here, and we played some set teams that play together all the time. The players on the Yukon Lead Dawgs will now turn their attention to their broomball season in the YBA.